WestJet announced this week it will begin non-stop service between John C. Munro Hamilton International Airport and McCarran International Airport in Las Vegas, effective from 29th December this year. "As Hamilton International's largest airline, as well as the carrier with the most international flights into Las Vegas, WestJet continues to add new service in Southern Ontario," said Brian Znotins, WestJet Vice-President, Network Planning, Alliances and Corporate Development. 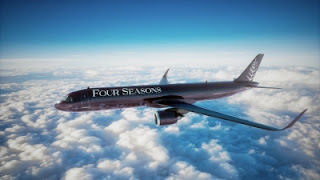 "This new non-stop flight connects the community to a highly desirable leisure market and offers a great schedule to those looking to fly directly from Hamilton and surrounding communities without having to drive or connect through Toronto." "We are pleased with the announcement that WestJet will be operating non-stop service from Hamilton to Las Vegas," said Cathie Puckering, Acting President and CEO, John C. Munro Hamilton International Airport. 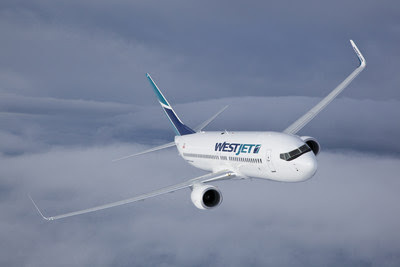 "This new route adds to an already robust schedule that WestJet operates from John C. Munro Hamilton International Airport to destinations such as Calgary, Edmonton, Halifax, Orlando and Winnipeg. This welcome addition will be yet another great service offering to Hamilton and the surrounding areas." "We are very pleased that WestJet is operating non-stop service from Hamilton," said Rosemary Vassiliadis, Director of Aviation at McCarran International Airport. "Las Vegas has long been a proven winner among Canadians, particularly in the wintertime, so we're looking forward to many more travellers taking advantage of the convenience offered by this latest extension of WestJet's non-stop network into our area." Service between Hamilton and Las Vegas will operate twice weekly beginning December 29, 2017, through April 27, 2018. 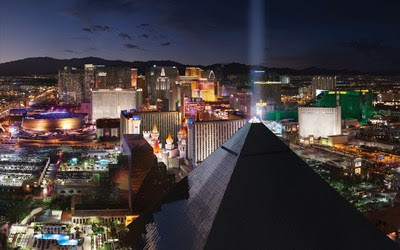 This winter, WestJet has a total of 63 weekly flights to Las Vegas from eight cities across Canada including Vancouver, Calgary, Edmonton, Regina, Saskatoon, Winnipeg, Toronto and Hamilton. Flights will be operated on WestJet's Boeing 737 aircraft featuring the enhanced Plus product and WestJet Connect, WestJet's in-flight entertainment system accessed directly through smartphones, tablets or computers. Almost 90 percent of WestJet's Boeing fleet is now equipped with WestJet Connect.